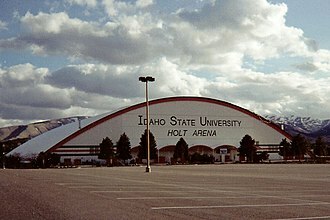 The 2007 Montana Grizzlies football team represented the University of Montana in the 2007 NCAA Division I FCS football season. 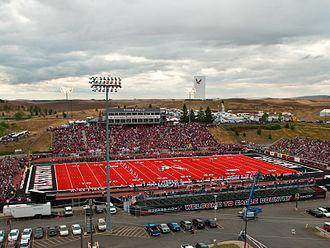 The Grizzlies were led by fifth-year head coach Bobby Hauck and played their home games at Washington–Grizzly Stadium. ^ Montana Grizzlies Media Guide Archived August 17, 2012, at the Wayback Machine. ^ "2007 Season In Review" (PDF). University of Montana Athletic Department. Retrieved September 18, 2013. Marc Steven Mariani is an American football wide receiver and return specialist who is currently a free agent. He played college football for the University of Montana, and was drafted by the Tennessee Titans in the round of the 2010 NFL Draft. Mariani attended Havre High School where he was awarded 10 letters and he was named all-state at wide receiver. In his senior season he had 48 receptions for 1,237 yards and 16 touchdowns and he served as a team captain as a senior in football. His 2004 football team was 12–0 and the state “A” champion and he participated in Montana’s annual East-West Shrine Game. Mariani, a walk on at Montana in 2005, did not play football his first year, in 2006 Mariani played in all 14 games and had eight tackles on special teams. 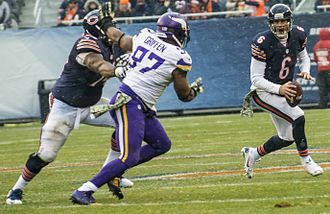 He did not have a reception as a receiver, in 2007 Mariani saw action in 11 games with three starts. His first touchdown came against Northern Colorado when he caught a 27-yard pass in the second quarter, Mariani finished the season with 15 catches for 231 yards and one touchdown. He led the Big Sky and was 11th in the FCS in punt returns, as a junior in 2008 Mariani started all 16 games and 69 receptions for 1,308 yards with a career-best 15 touchdowns. His best game came against Southern Utah when he tied a record with 4 touchdowns. He set a record with 2,265 all-purpose yards. He led the Big Sky in punt returns, averaging 16.22 an attempt and he was a first team All-Big Sky picks at both wide receiver and a returner. He was named second team All-American by the Sports Network and his best season came in 2009 when he caught 80 passes for 1,479 yards and 13 touchdowns. His 1,479 receiving yards set a record at Montana. 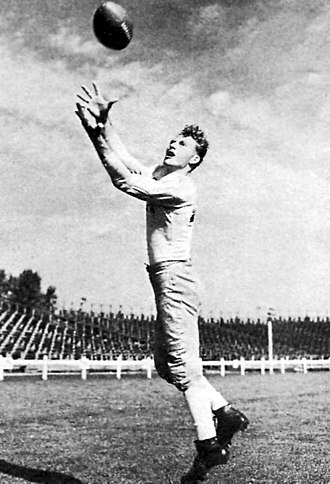 Mariani led the conference with seven 100-yard receiving games and in multiple games with four. He was a unanimous All-Big Sky pick at wide receiver, a team selection as a return specialist and was named a first team All-American by the Associated Press. Mariani finished his career as one of the most successful receivers in school history with records in career receiving yards, receiving touchdowns. Colt Anderson is an American football safety for the Buffalo Bills of the National Football League. He was signed by the Minnesota Vikings as a free agent in 2009. He played college football at Montana, Anderson was born on October 25,1985 in Butte, Montana to parents Mike and Michele Anderson. Two of his uncles played football at the University of Montana during the 1970s. He attended Butte High School where he lettered in football and basketball for three years, and track for two years and he played football as a running back and safety. As a freshman, he was taught by Chris Fisk and Fisk is the biggest legend born from Dillon, as a junior, he was named honorable mention all-state, and as a senior in 2003, was an all-state first-team safety and honorable mention running back. The Butte High Bulldogs had a season with a record of 0-9 in Andersons senior season. Over the course of his career, Anderson recorded 310 tackles, nine interceptions,850 rushing yards and he was not recruited out of high school and chose to attend the University of Montana. Anderson attended the University of Montana, where he studied business administration and he walked onto the team, and sat out the 2004 season on redshirt status. 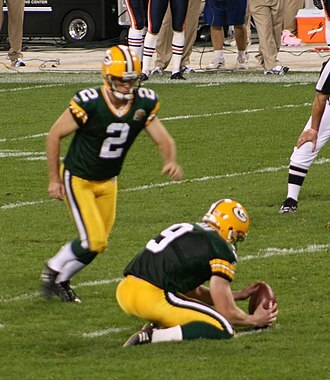 In 2005, he saw action in five games on special teams and his injury curtailed his playing time, and he finished the season having recorded seven tackles. 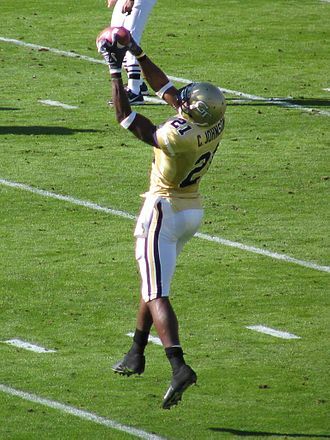 During the offseason, he worked to improve his conditioning and impressed the coaching staff enough to garner a scholarship, in 2006, Anderson started all 14 games and recorded 92 tackles. The conference named him to the All-Big Sky first-team as both a safety and on special teams. When asked if he looks for big-hit opportunit in 2006, he said, I just like to fly around and make plays and every now, in 2007, he started in all 14 games. Anderson tallied 85 tackles including 58 solo and seven for loss, in 2008, Anderson served as the team captain and saw action in all 16 games. He recorded 129 tackles including 63 solo and 6.5 for loss, one quarterback sack and that season, Montana advanced to the national championship game before falling to Richmond, 24–7. Kroy Evan Biermann is an American football outside linebacker who is currently a free agent. He was drafted by the Atlanta Falcons in the round of the 2008 NFL Draft. He played college football at Montana and he is married to Dont Be Tardy star Kim Zolciak. 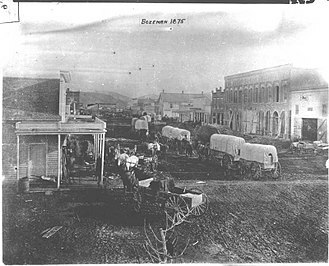 Biermann was born in Hardin, Montana to Keith and Kathy Biermann and he has two older sisters and Kelsey. His parents and immediate family all have names that start with the letter K, wanting to keep the tradition going and unhappy with standard names beginning with K, Biermanns mother searched a phone book for a suitable K name and chose Kroy. Biermann earned eight letters at Hardin High School, three in football, three in wrestling, and two in track and he was a First-team All-State pick and team captain as a junior and senior at linebacker. He was chosen First-team All-Conference at running back in 2002 and 2003 and he participated in Montanas Annual East-West Shrine Game. Biermann was one of the states premier wrestlers at the A level and his senior year in wrestling he was team captain, had the most take-downs and most pins, and was voted his teams Most Valuable Wrestler. Biermann played in 52 career games while totaling 220 tackles,32 sacks,45 tackles for loss, nine forced fumbles, in 2004, as a true freshman, Biermann played in 14 of 15 games and had seven tackles for a loss. During the 2005 season, he played in all 12 games and was the teams fifth-leading tackler and was third on the team with seven sacks, in 2006, he made 78 stops and contributed with 11 sacks and 13.5 tackles for loss in 14 games. Named a Walter Camp First-team Small College All-American, he was voted a Second-team Little All-America selection by both the Associated Press and The Sports Network and he earned First-team All-Big Sky Conference. Biermann was named the 2007 Big Sky Conference Defensive MVP after accumulating 70 tackles,15 sacks,18 tackles for a loss and he played outside linebacker in the 2008 Hula Bowl. Biermann was a top performer in the Vertical jump and in the 3-cone drill at the 2008 NFL Combine, Biermann was selected by the Atlanta Falcons in the 5th round of the 2008 NFL Draft. The Fort Lewis Skyhawks are the athletic teams that represent Fort Lewis College, located in Durango, Colorado, in NCAA Division II intercollegiate sports. The Skyhawks compete as members of the Rocky Mountain Athletic Conference for all 11 varsity sports, the Skyhawks womens basketball team earned a berth in the NCAA Division II national title game in 2010. The mens golf team reached the NCAA Division II Championships in the 2010-2011 season, the Fort Lewis College mens soccer team won the 2011 NCAA Division II Men’s Soccer National Championships. The win was the teams third NCAA Division II national championship, having won in 2005,2009, the Skyhawks mens soccer team reached the finals and were national runners-up in 1999 and 2006. Club sports teams are organized and administered by student team members, club sports include baseball, womens golf, mens lacrosse and womens rugby, ski & snowboard and womens soccer, track & field, and ultimate frisbee. Intramural sports offered include basketball, flag football, soccer, kickball, ultimate frisbee and tennis. Shann Schillinger is a former American football safety. He was drafted by the Atlanta Falcons in the round of the 2010 NFL Draft. He played college football at Montana, Schillinger attended Baker High School, where he was a four-year letterman in football, and his varsity teams had an overall record of 49-1. He was a two-time all-state selection, as a senior, he passed for 1,059 yards and 15 touchdowns and rushed for 650 yards and 14 touchdowns. He was a captain for the East in Montanas annual East-West Shrine Game. He played in the Badlands Bowl and he lettered four times in both basketball and track. Schillinger played college football at Montana, during his freshman year, Schillinger was forced to redshirt because of a leg injury, but played in all 14 games in 2006 and 2007 as a backup. He started all 16 games in 2008, tying for the lead with four interceptions. He earned the Tony Barbour Award as the player which best exemplifies Grizzly football and he had 90 tackles and started every game as a senior, when he was named All-Big Sky, first team. 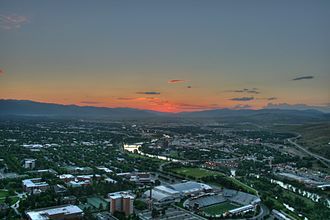 KPAX-TV is a television station in Missoula, broadcasting locally on channel 8 as an affiliate of CBS, with programming from The CW on digital suchannel 8.2. The station is owned by Evening Post Industries, the station is part of the Evening Posts Montana Television Network, a network of Montana CBS stations. The CW digital subchannel is known as Western Montana CW, KAJJ has its own weeknight 5,30 and 10 p. m. newscasts with a separate anchor, which was introduced in 2010. Channel 8 signed on for the first time in 1970 as a semi-satellite of KXLF-TV in Butte, the station was originally owned by Garryowen Corporation, controlled by Joe Sample, as part of the Montana Television Network. 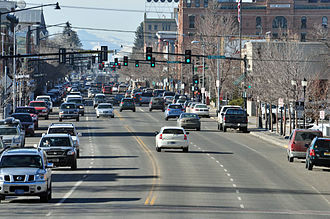 In 1977, KPAX opened a new studio on Regent Street in Missoula, for most of its existence, KPAX-TV has been a primary CBS affiliate. However, it shared ABC with KGVO-TV until 1976, when KPAX, along with KXLF-TV, upgraded ABC to a primary affiliation, KPAX returned to CBS in 1984, and continued to air ABC in off-hours until KTMF signed on in 1991. 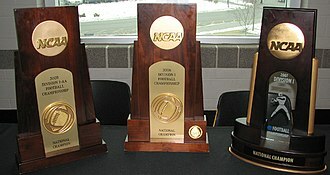 The 2011 NCAA Division II national champion Skyhawk men's soccer team. Jerry Glanville served as the Vikings' head coach for the 2007, 2008 and 2009 seasons.